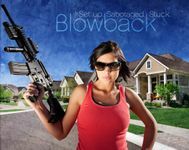 "Blowback is a game where you play spies blacklisted after a job goes awry, and the people who care about them. You can play the game with 3-5 people, and while playing it as a single game session is fun, it's designed for long-term play. It's heavily inspired by the American television show Burn Notice and movies like the Bourne trilogy."